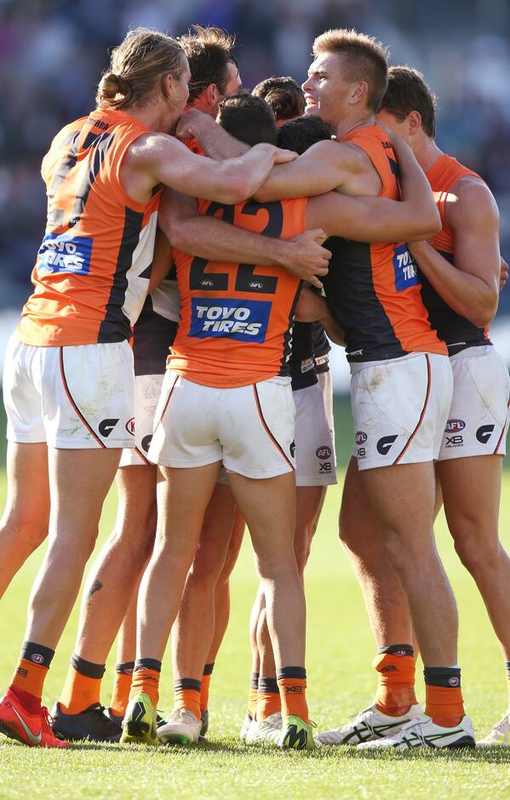 A group of GIANTS players celebrate after the final siren. The courageous GIANTS have broken Geelong's unbeaten run and posted its first win at the Cattery, triumphing by four points in a nail-biter at GMHBA Stadium on Saturday. The GIANTS have now joined Geelong on a 3-1 record – a terrific result for a team that has been challenged by injuries to key personnel.